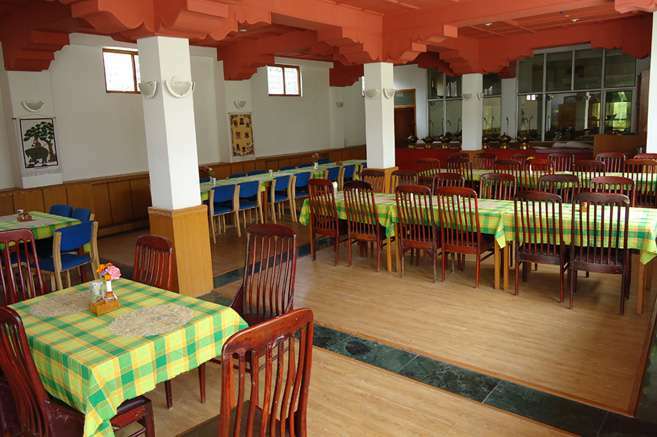 Guests will surely get a more than comfortable Leh Accommodation is at Hotel Khangri in Leh Ladakh, Jammu and Kashmir. After a walk in the cold rugged mountainous landscape guests can have a rest inside well furnished room over here. Wedding Services, Health Club, Complimentary Newspapers in Lobby, Breakfast Services, Safe Deposit Box-Front Desk, Beauty Services, Doorman, Airport Transportation, Business Facilities, Parking. House Keeping, Wakeup Calls, Room Heater, Complimentary Newspaper, DVD Player, Direct-Dial STD, Attached Bathroom, Television Room, Complimentary Toiletries, Bathrobes. User reviews for "Khangri Hotel Leh"